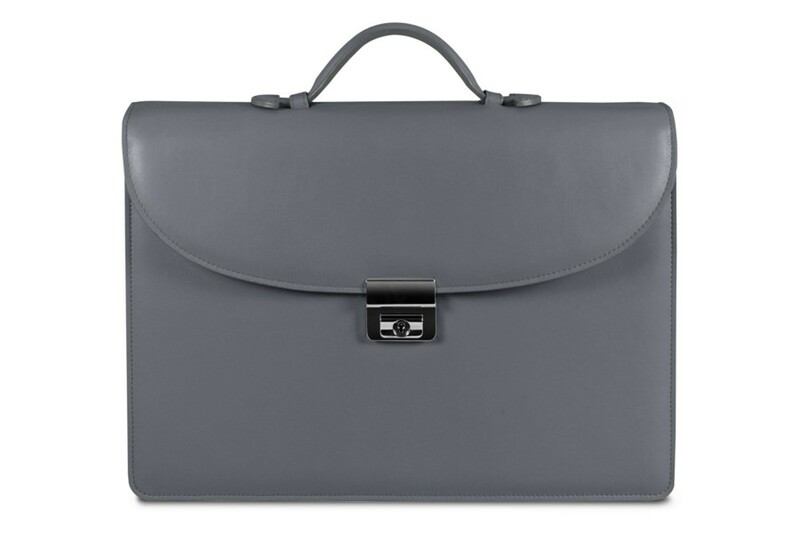 Here is the leather briefcase with 3 gussets of the Lucrin collection. 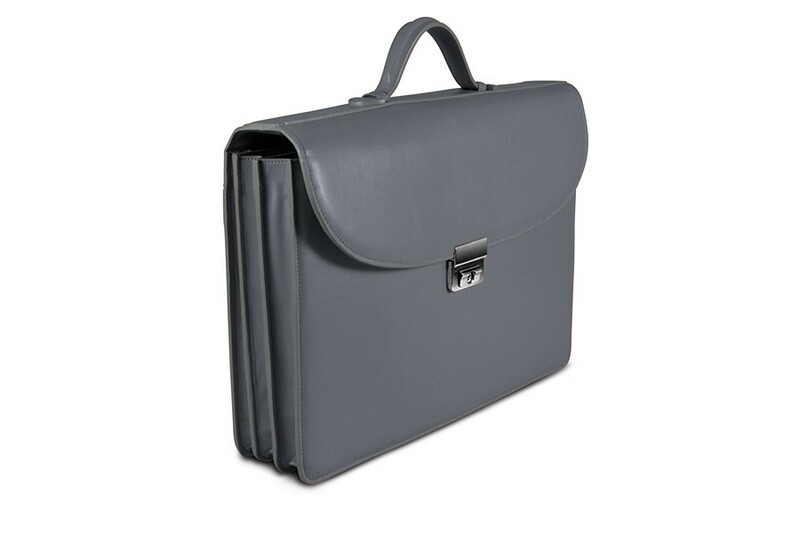 Designed with 2 separations and 3 isolated compartments, you can classify your documents accordingly, making it a really practical leather brief bag. In the first compartment, we have added 3 loops for pens, 2 pockets for smartphones and another loop for your keys. 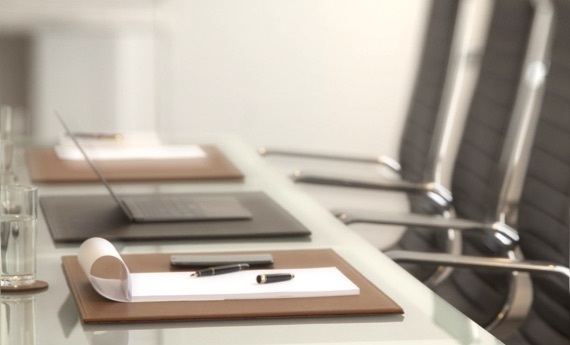 A flat zipped pocket is also there to keep, for instance, your wallet. 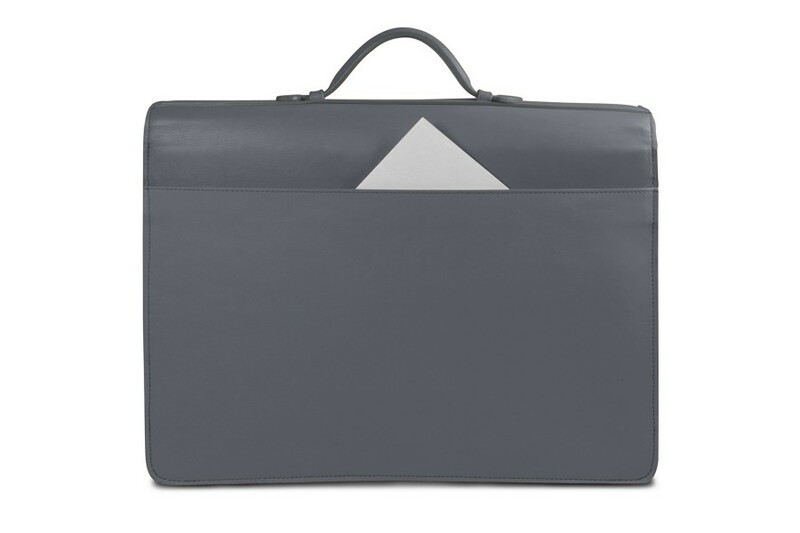 On the backside of this elegant leather attaché, there is also a large slot for newspaper or magazine. 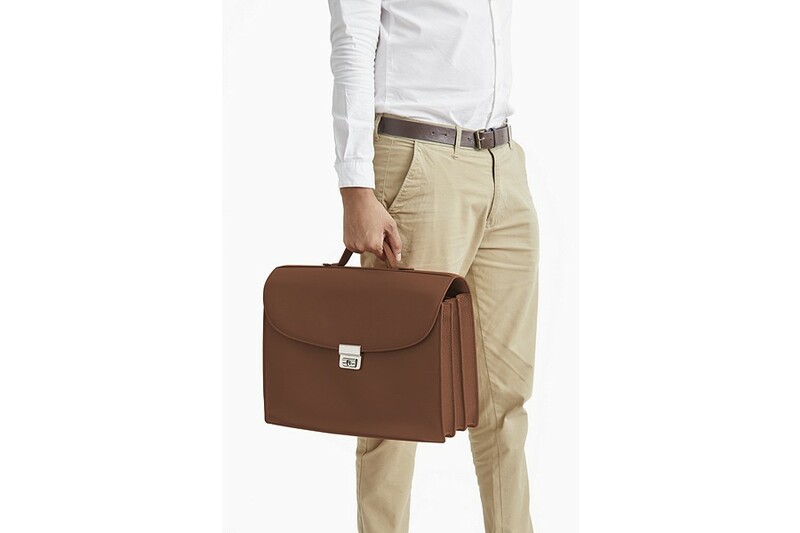 The leather handle is retractable and provides a special look to this beautiful timeless briefcase, which is available in a wonderful array of colors and leathers.